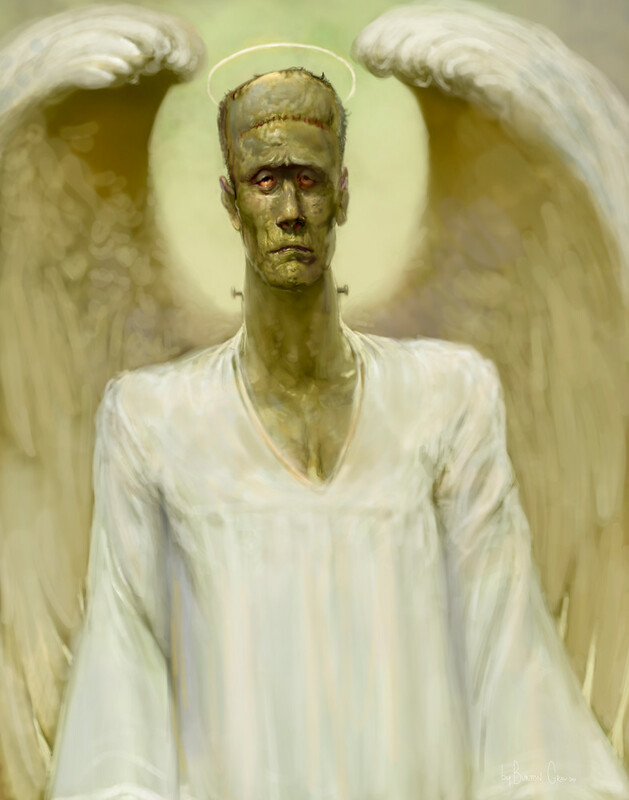 Color version of "Frankenangel" from last night's Facebook Live Art Show. Swipe left to see full image, show version and original bw sketch. Do you see any significant differences between the various versions?